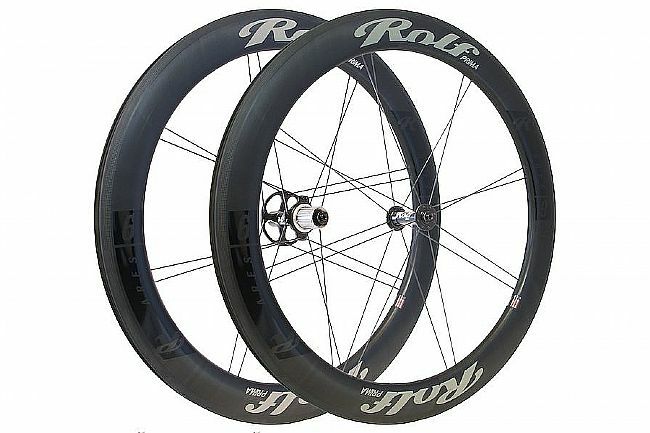 Rolf Prima's 2019 ARES6 Carbon Clincher Wheelset features rims with an internal width of 19.5mm, tubeless compatibility, a 60mm aerodynamic Delta rim profile, and a TdF3.0 hubset, making these wheels great for all-around road riding, triathlons, and time trials. This wheelset comes with carbon specific brake pads, rim strips, valve extenders, and a QR set. Weight: 1,620g (695g front, 925g rear). Spoke type: Sapim CX Speed, bladed. 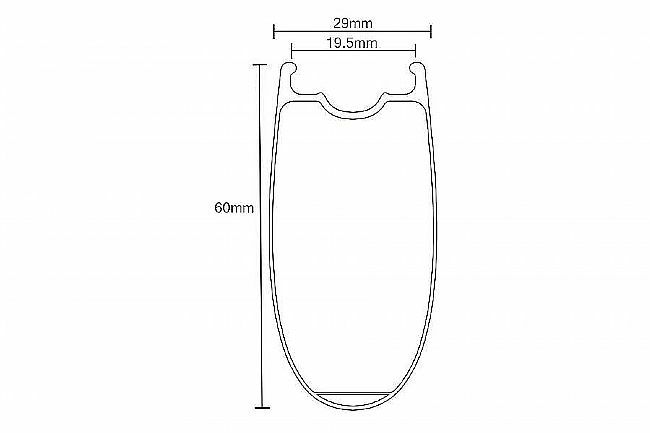 Rim Width: 29mm, internal 19.5mm. Tire size recommendation: 25mm to 62mm (2.4").